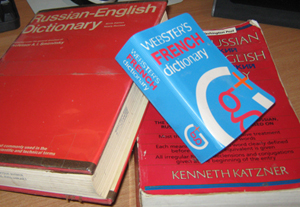 It seems I don’t currently own any English dictionaries. That’s okay — explaining bipolar might as well be in a foreign language. I think it’s fair to say that most of us have our own unique or semi-unique phrases, words, and concepts that we use to try and express the realities of living with bipolar (or other mental disorders, invisible illnesses, etc). After all, I am sure that most of us try and try again to explain to our healthy friends and family why this isn’t something that we can just think ourselves out of, or ‘snap out of’. I think this one is pretty self-explanatory. It’s the point of being overwhelmed with trying to keep it together where your brain gives up and just sort of waves around in a useless frenetic fashion. Having said that, I’ll totally do it with my arms sometimes too to try and channel the gah away. I tend to think of it as the lesser, ‘positive’ cousin to that dreaded fight-or-flight response that fills us with toxins and stress (huzzah hypersensitivity… NOT!). Yanno, you’re frustrated, but you can still sort of manage to smile and laugh ’cause you’ve not quite hit or gone over the edge, and that’s gooood. Another one that I am very fond of, that I know the source of, is sunshine spewer. That comes compliments of Morgueticia at Take a Ride on My Mood Swing. It’s just… so.freaking.concise and to the point. Granted, I don’t have to deal with a therapist myself (long story), I can certainly identify with the anguish that comes from dealing with these sorts. When you’re hurting and trying to sort it out, having someone beam sunshine and positivity out of their backside, while well intentioned, just does.not.help. And, of course, most of us are very familiar with The Spoon Theory. For those who aren’t, I hope you find this useful as a way to explain to friends and family that you have limited resources, and are doing the best to get by with what you have. What sort of words do you guys have, then? I’ve managed to completely blank past that, and my kiddo’s volume ensured that I wouldn’t be able to think even if I wanted to (three is worse than two, fair warning). Even though I feel that I’m a lot more cogent since getting diagnosed and medicated, I’m always happy to find new ways to try and express and explain, and especially if they’re useful in getting things across to friends and family who might care, but not enough to do any reading for themselves. Not really. On Xanax and rest for the next couple days. Mind is scrambled. At least the screaming and tears have stopped. That is certainly a small blessing, at least. I certainly am rooting for it to clear up and leave you alone sooner rather than later!